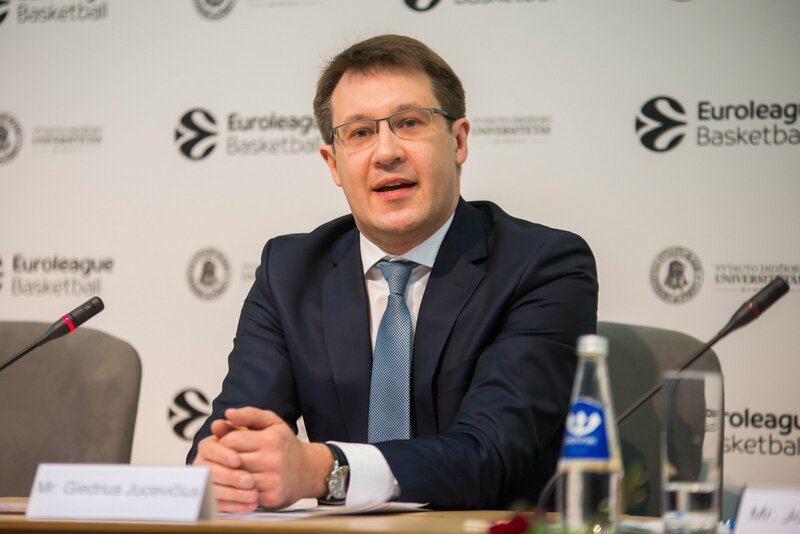 Euroleague Basketball and Vytautas Magnus University (VMU) today announced the launch of the Sports Business MBA by EB Institute during a press conference held on the VMU campus in Kaunas, Lithuania. 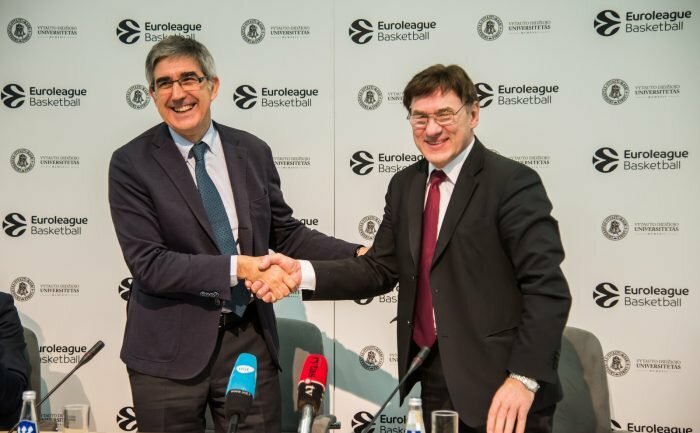 The new partnership comes 10 years after the initial creation of the Euroleague Basketball Master in Sports Marketing and Communication. 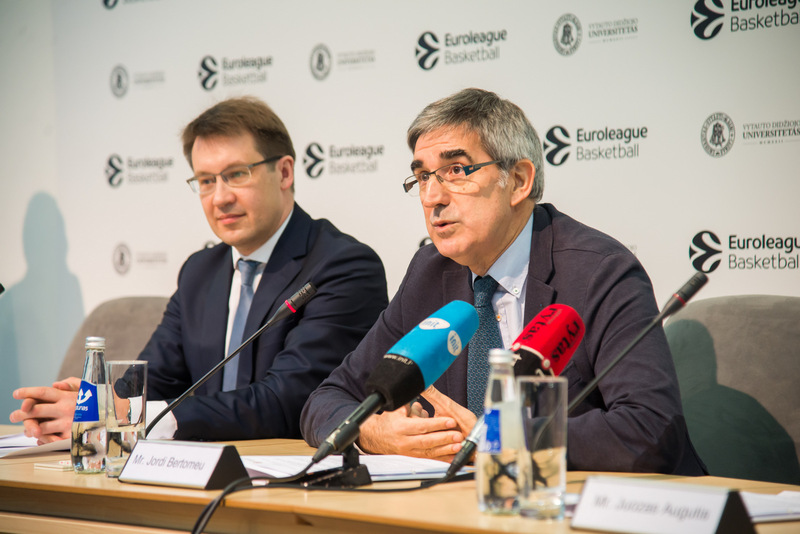 The announcement was made by Euroleague Basketball President and CEO Jordi Bertomeu, together with VMU Rector Professor Juozas Augutis. 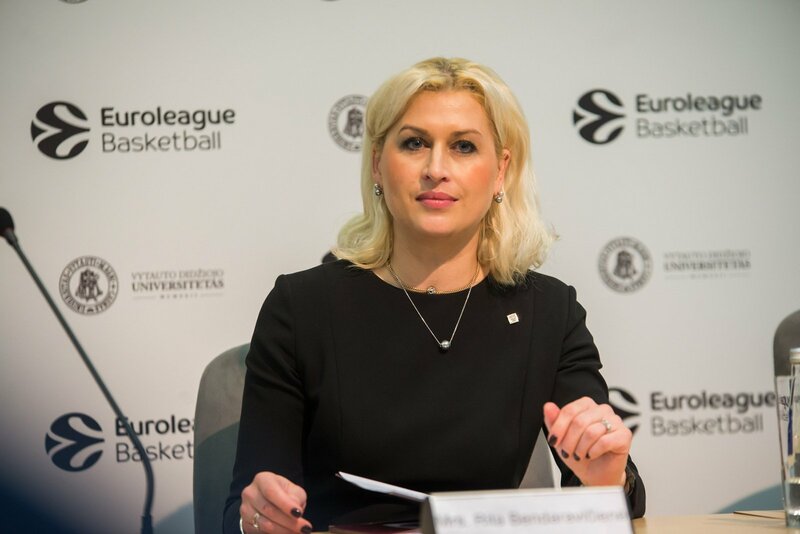 Euroleague Basketball and VMU have created the MBA to enhance educational opportunities for existing and would-be professionals in sports business to learn directly from industry and academic experts. The new programme builds on EB Institute’s 10-year-old EBI Master in Sports Management and Marketing, which has seen 220 students from 38 countries follow the course co-organised with the Ca’ Foscari University in Venice, Italy. 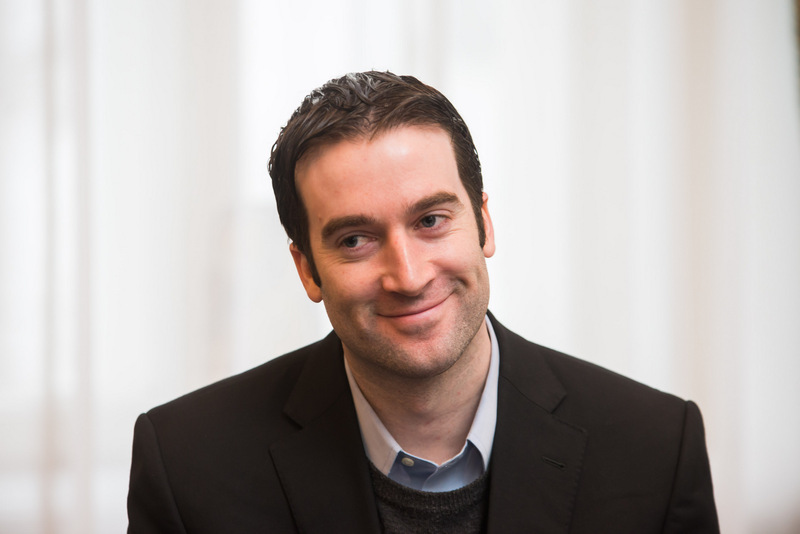 The MBA will focus on modern approaches to sports business, consisting of six modules over three academic semesters, including internship and group work opportunities, ending with a final master thesis. 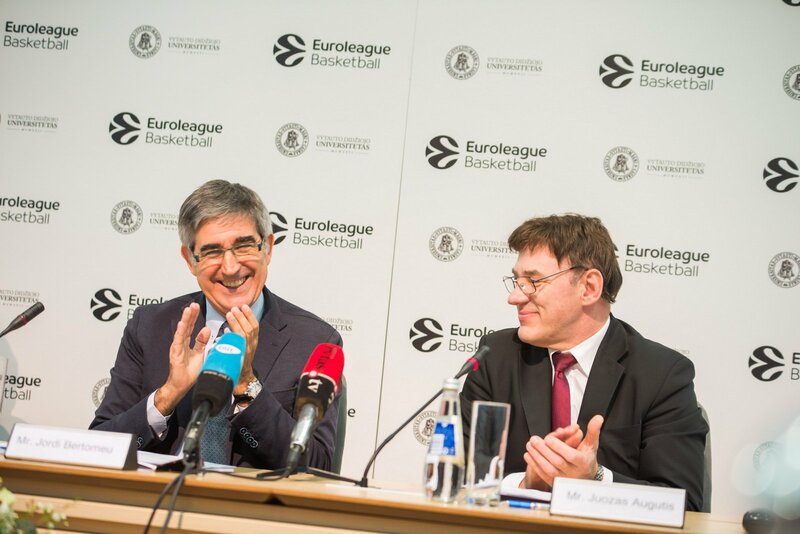 The MBA continues the educational tradition that Euroleague Basketball began with its founding in 2000. 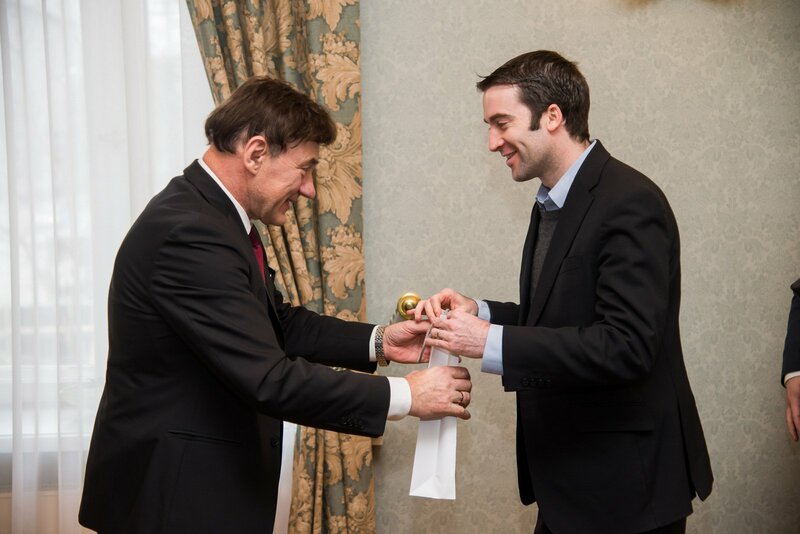 The training and improvement of professionals working in clubs and domestic leagues, a priority since day one, has been accomplished by organising a multitude of clinics, workshops, summits, seminars, working groups and conferences. These together with academic offerings have always been dedicated to the same goal: training new professionals whilst elevating the prospects of those already working in the sports industry. 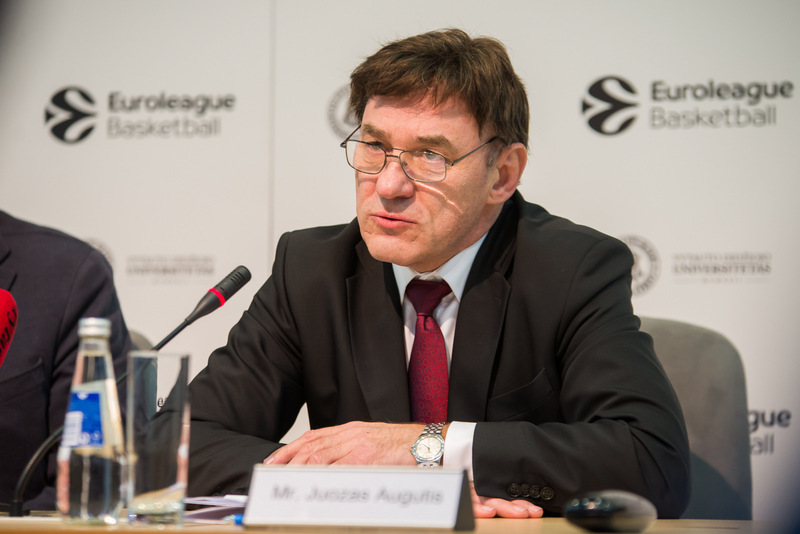 Alumni in the first decade of the EBI Master have become professionals in a broad range of sporting companies, organisations and endeavours, including clubs, domestic leagues, Euroleague Basketball, FIBA, national federations, adidas, Nike, Microsoft, SAP, Vodafone, media outlets and marketing agencies. 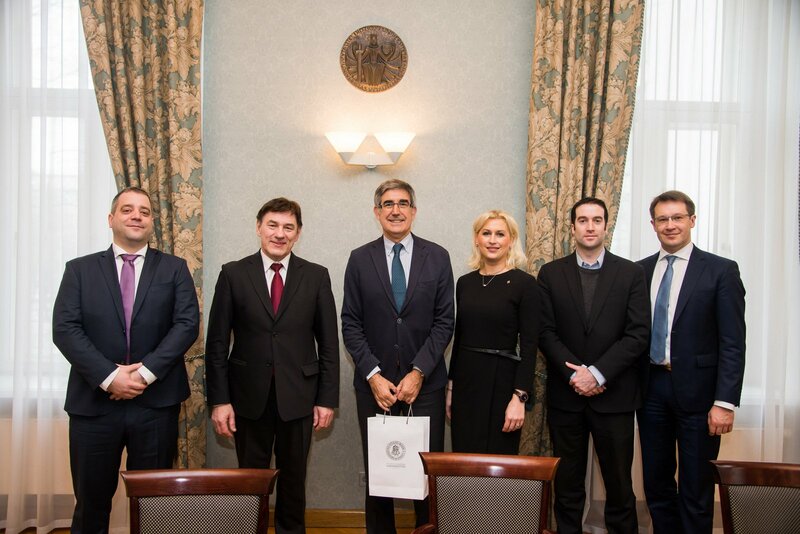 The Vytautas Magnus University Faculty of Economics and Management professors who will oversee the study programme of the Sports Business MBA have received international recognition for their excellence. Students will obtain both systemic understanding and working knowledge of all major areas of contemporary sports business and management: marketing, finance, media and communication, law, strategy and economics. 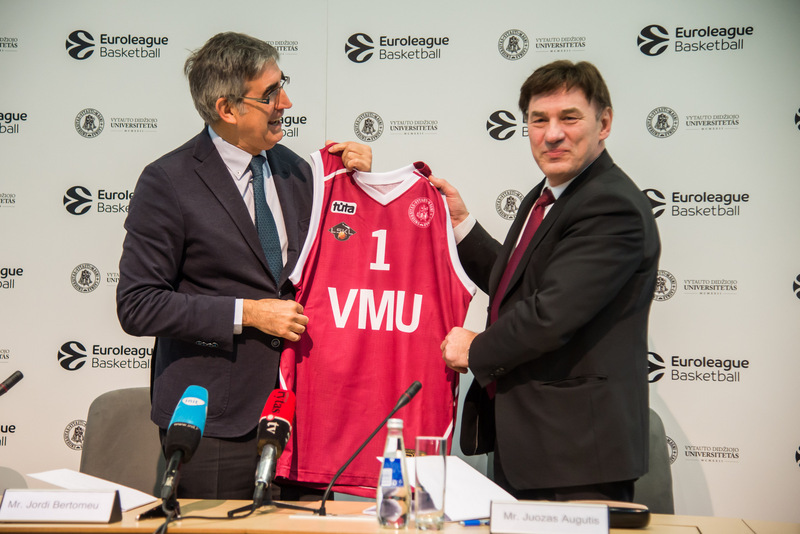 “VMU has always been a globally focused university and we are very glad that this has been recognised and appreciated by Euroleague Basketball, Europe’s top-level basketball competition organiser. 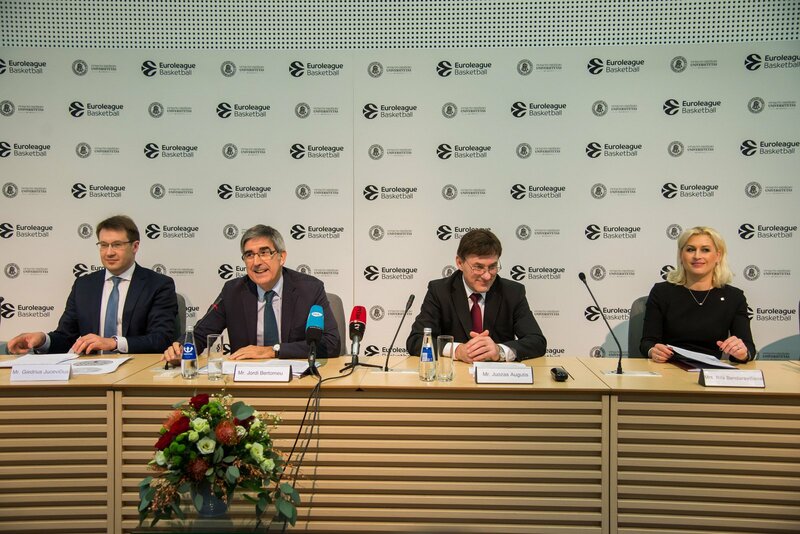 For the last two years, the VMU Faculty of Economics and Management has been ranked among the 700 best business schools in the world. 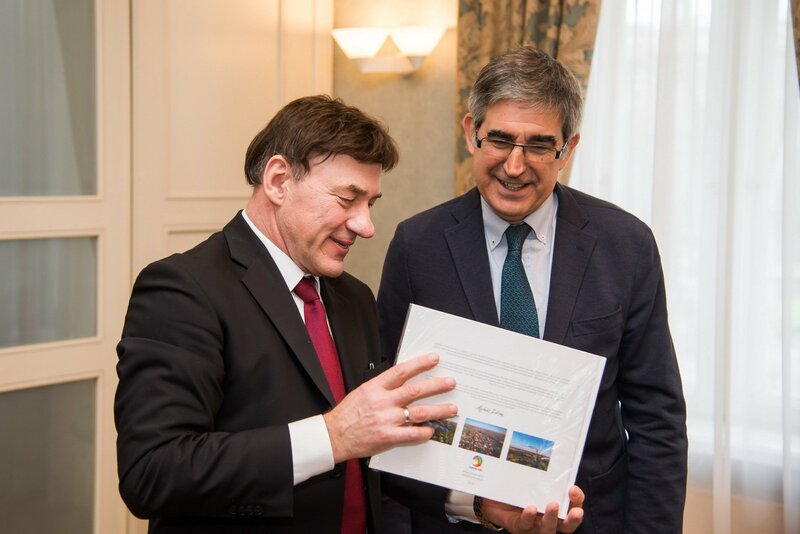 VMU is one of the leading Baltic universities in the field of internationality,” Professor Augutis, VMU Rector said. VMU study programmes prepare specialists who are equipped with interdisciplinary knowledge and abilities, analytical and critical thinking, and capability to work in the international market, rather than narrowly specialised graduates who would only meet the short-term demands of today. 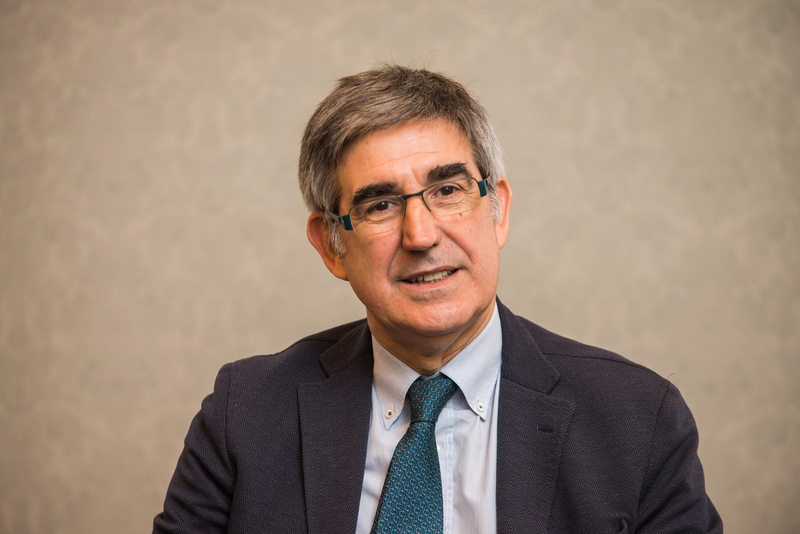 Being a liberal arts university it provides an interdisciplinary education as well as competences that are important in the dynamic labour market. The first edition of the MBA will last for 14 months, commencing in September 2017 and graduating in October 2018. 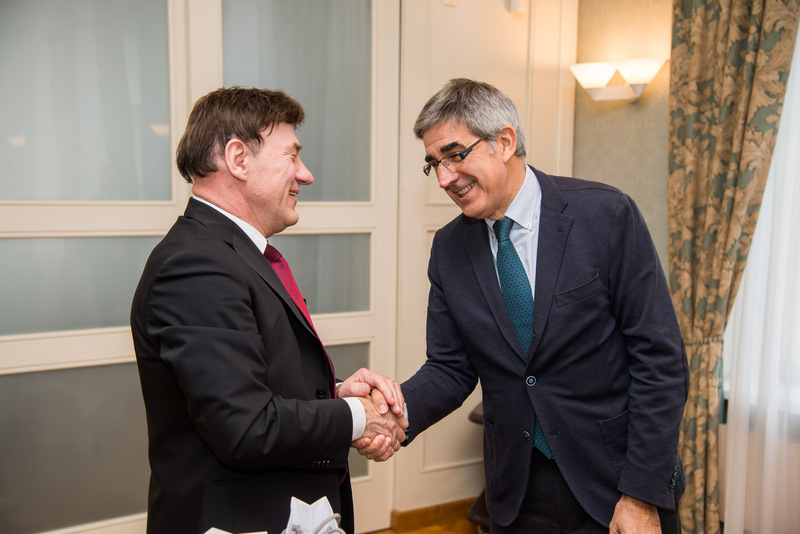 Students completing the course will achieve 90 ECTS (European Credit Transfer System). 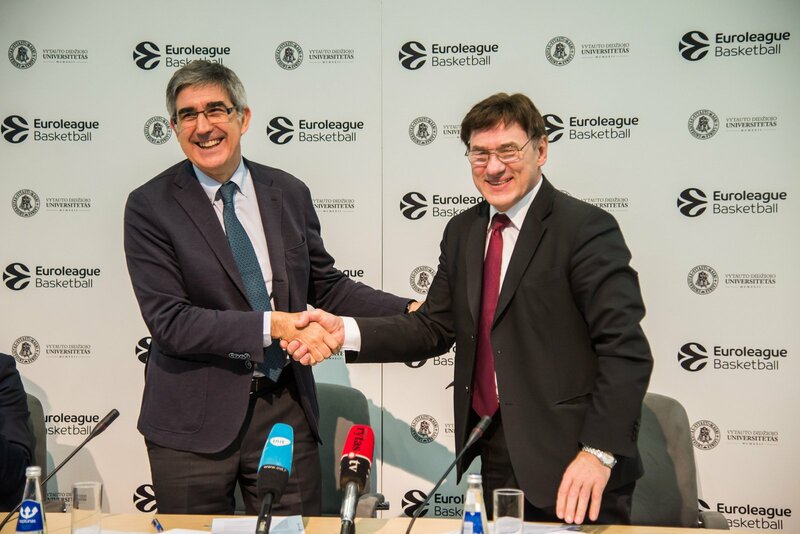 The blended learning format will include four-week long in-person sessions on Euroleague Basketball headquarters in Barcelona, Spain; VMU’s campus in Kaunas; full, behind-the-scenes immersion at one of the largest sports events in the world, the Turkish Airlines EuroLeague Final Four in Belgrade, Serbia; before students return to the VMU campus to defend their final master thesis including Viva. The in-person sessions are combined with an e-learning platform that offers students maximum flexibility and sustained interaction with their professors. Throughout their MBA training, students will hear from both academic and industry experts, with the latter of these representing companies and organisations at the forefront of the sports industry. Examples from the EBI Master in the past have included executives from adidas, Spalding, ESPN, IMG, NBA, New Era, Nike, Special Olympics, Turkish Airlines, Twitter and AEG, to name a few. 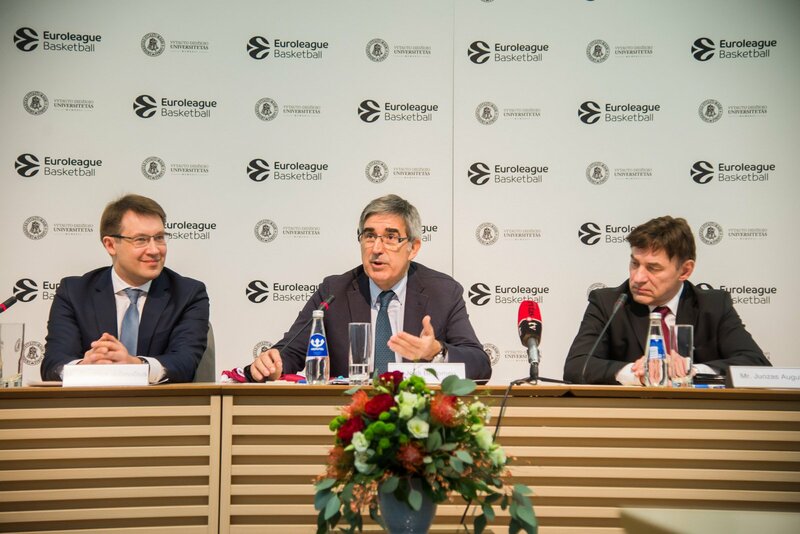 The MBA will also feature guest academic teachers from elite European institutions to be announced soon. 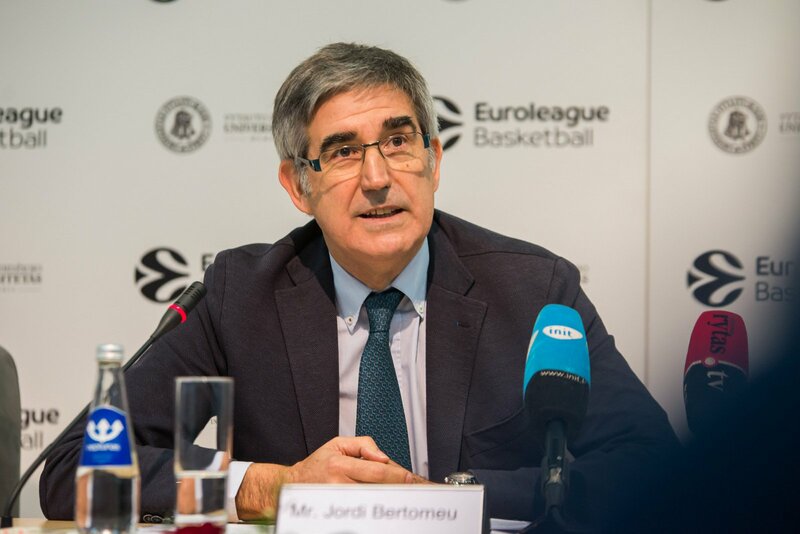 Pre-enrolment is scheduled to commence on April 12, 2017, when more information will be made available on the websites of VMU and Euroleague.